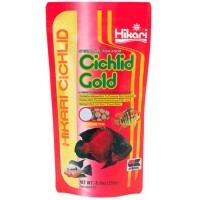 Specially formulated for herbivorous (plant eating) fish. This formula combines wheat-germ, spirulina and vitamins and minerals to provide a diet that is extremely nutritious, easy to digest, provides powerful color enhancement and promotes outstanding growth characteristics. This superior diet can be fed to African Cichlids and many types of plant eating tropical fish with excellent results! A perfect balance of natural ingredients meant to meet the nutritional demands of most herbivorous fish, offering a taste even the most finicky eater will love. Use of the inner most portion of the wheat-germ kernel offers more rapid digestion and beneficial natural nutrients your freshwater herbivore craves. Contains pure-cultured Spirulina, offering vibrant, natural color-enhancing capacity. Contains stabilized vitamin-C which won’t degrade over time as easily as non-stabilized vitamin-C and supports a healty immune system. 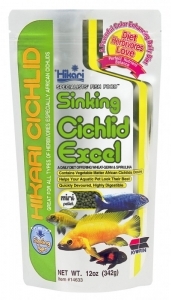 Trust the originator of premium aquatic diets when you’re looking for the best! 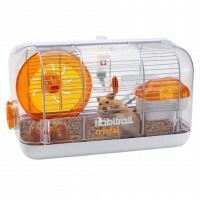 Feed two to three times daily the amount your fish will completely consume in a few minutes. Remove all remaining food after the feeding period to avoid over-feeding and the water quality problems associated with it. Includes the highest grade of carotenoid available today, ..
Habitrail® Cristal is a main habitat unit that serves as..
Anubias Nana Bulk Pack of 10 Nos. 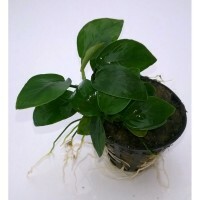 Anubias Nana is the most popular plant in the hobby due to thei..
Rotala Macranda mini Bulk pack of 100 nos. 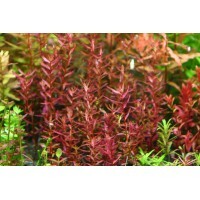 English name: Rotala Macrandra "mini" pH Tolerance: Acid t..